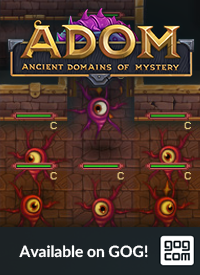 The Official Blog for ADOM (Ancient Domains Of Mystery): ADOM 2.3.8 is being released to the general public! 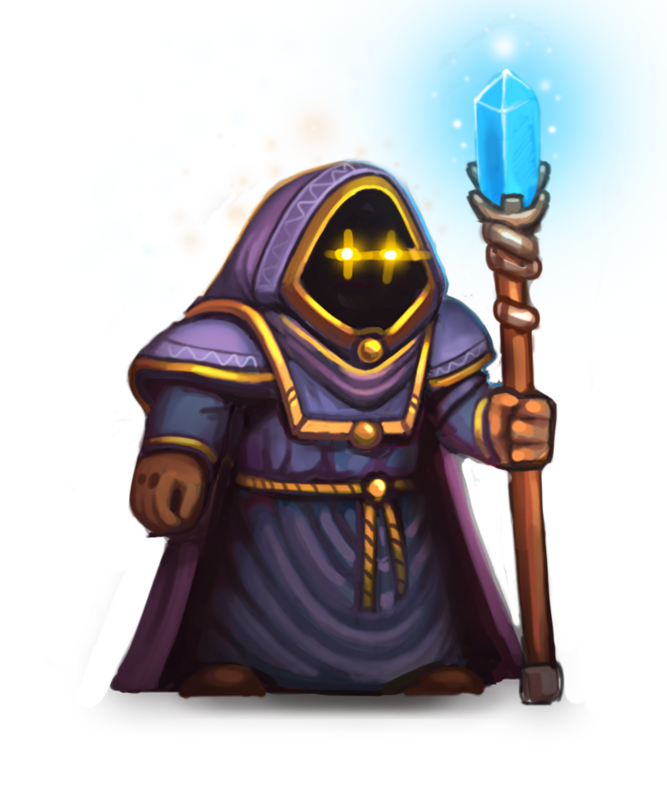 ADOM 2.3.8 is being released to the general public! 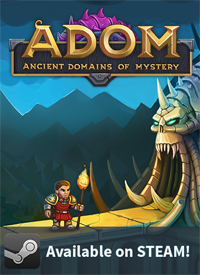 After a very long time (812 days to be precise) we are very proud to release ADOM 2.3.8 to the general public! See the changelog for a full list of changes - it's everything from release 60 upwards in the list! 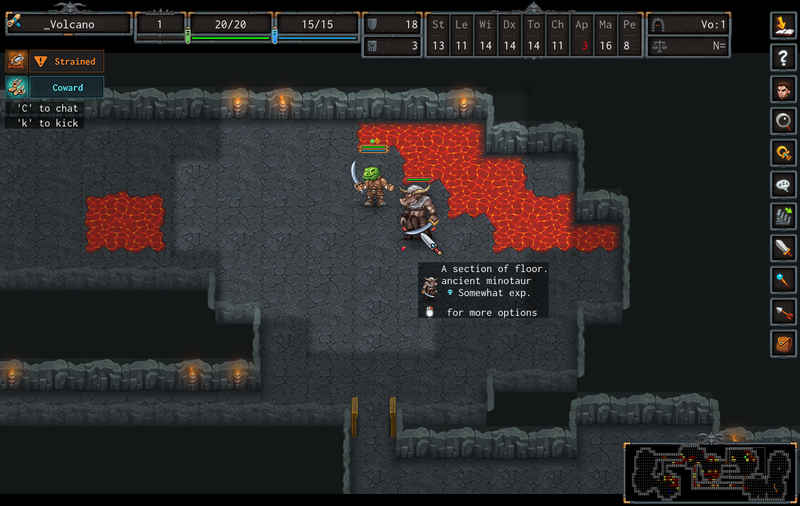 ADOM now sports a dialog system and speech bubbles for dialogs. Some of the info dialogs can be deactivated if you don't like them (Show_Info_Boxes = false in the configuration accessible via '='). Speech bubbles and most selection dialogs can't be deactivated though. If you find them less efficient than the old way, please submit appropriate criticism and ideas for enhancement. 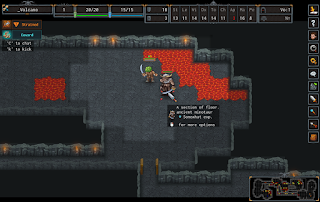 ADOM now offers quick hints that explain how to access certain commands. If you don't need them or find them disturbing you can deactivate those, too (Quick_Hint_Limit = 0 in the configuration accessible via '='). The pick and drop commands have been completely rewritten. They now are much more consistent and powerful but you need to get accustomed to them if your muscle memory is trained on the old system. 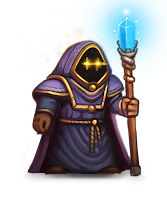 For experienced ADOM players we recommend that you familiarize yourself with all the options and play around a little with it. It's different than before but all options are there (and more). Generally we believe that these (and other changes) are highly beneficial, especially also for new players. 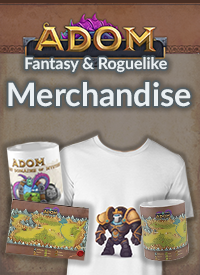 If you are very experienced with ADOM it will take a moment to adjust but our experience is that this goes quickly! If you find problems or have ideas for improvement please submit them at our bug database. And now enjoy playing the latest version of ADOM. We are curious about your feedback! The one keybinding I'm really missing with this update is 'Esc' for casting spells. It it possible for me to regain that functionality with custom keybindings?